On Friday, Sept. 11, a meeting at the New City America, Inc. office is open to the public to review the Union and Ash project. 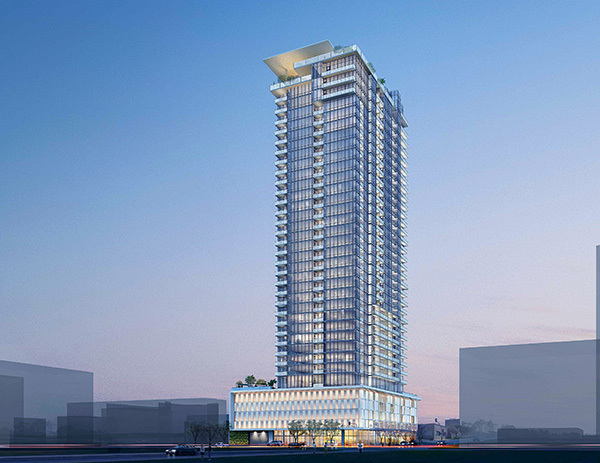 This project proposes to build the largest 36-story, 408 feet tall residential building in Little Italy with 389 residential development including 32 units of affordable housing. It includes three levels of underground parking and four and a half levels of above grade parking. Residential units begin on the sixth floor and continue up the 36th floor. The current plan includes amenity space and common outdoor spaces on the sixth, 35th and 3th floors. The sixth floor includes a 10,000 square feet terrace, and a2,000 square feet fitness areas. The 36th floor includes a 1,400 square feet terrace and a 2,200 square feet Sky Club/lounge area along with a 5,000 square feet pool deck and spa area that faces to the west. This meeting is open to the public at 11 a.m. 710 West Ivy. For more information about the project visit bit.ly/2MROk3B. Endeavor Bank (OTC Pink: EDVR), having completed its first five full months of banking operations since June 30, reported strong loan and deposit growth since opening business on Jan. 22. Unaudited results as of June 4, show total assets of $50.3 million, with deposits totaling $26.8 million and loans standing at $14.4 million. 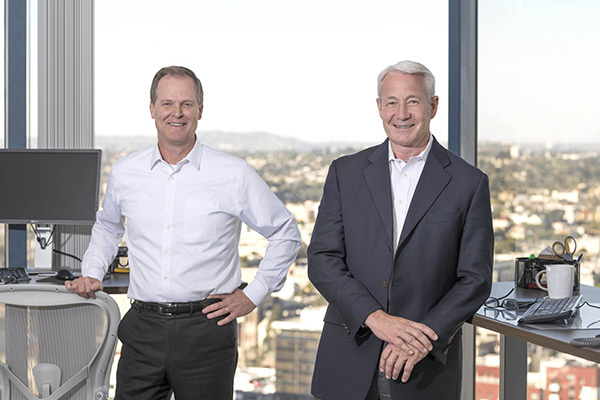 Endeavor Bank is primarily owned and operated by San Diegans for San Diego businesses and their owners. “We are more than satisfied with our early performance in terms of both deposit and asset growth, and equally important, with the team we assembled to accomplish that growth,” stated President Steve Sefton. Legislation which would regulate concealed carry weapons in California officially passed the state Legislature Aug. 27 and anticipates approval by Governor Jerry Brown. AB 2103 was approved by the California Senate and received bipartisan approval from the Assembly — marking a blow to the National Rifle Association who has strongly opposed the bill since its conception. The bill mandates applicants for concealed carry weapon permits receive a minimum eight hours of firearm safety training. In addition, applicants would need to perform live-fire shooting exercises on a firing range to demonstrate proficiency in safely handling weapons. Current state law does not prescribe any minimum training standard, meaning an individual could receive a permit with little to no prior training. AB 2103 is supported by the California State Sheriffs Association, the California Police Chiefs Association, Equality California, the Brady Campaign to Prevent Gun Violence, the Giffords Law Center to Prevent Gun Violence, the County of Los Angeles, and the California Federation of Teachers. Stockdale Capital Partners has announced its acquisition of Horton Plaza and plans to transform the existing property into The Campus at Horton, a mixed-use retail and creative office complex showcasing food and beverage, retail and entertainment venues. “Stockdale Capital is committed to working with the city of San Diego, Downtown community leaders and neighbors to deliver an exceptional project that will reinvigorate this historic asset and be an economic engine for Downtown San Diego,” said Daniel Michaels, managing director of Stockdale Capital. Once complete, the project is expected to generate over $1.8 billion in annual regional economic activity and an estimated 3,000-4,000 new jobs for Downtown San Diego. The first phase of construction is expected to begin early 2019 and wrap in fall 2020, with potential for additional construction totaling 1.5 million square feet. Cerritos based Razor USA, manufacturer of Razor Scooters, has decided to make its move into the growing ride-sharing industry. Pioneer of the original scooter design, which launched in 2000, the company is seeking to expand upon the current electric scooter design in hopes of standing out in the crowded market. The new red and black scooters have already hit the street. Like similar ride-sharing services, the scooters are managed by a downloadable smartphone app. As an additional incentive to try the new scooters, Razor USA is offering customers their first three rides for free. San Diego Opera is excited to announce that Dominic Domingo has been appointed to the position of director of artistic administration. Domingo will serve as advisor and assistant to the general director and contract the company’s principal artists and conductors, while working with them and their managers to meet all needs related to the engagement. Domingo was most recently the assistant company manager for Los Angeles Opera and the associate producer for opera recitals at the Broad Stage in Los Angeles. He is also the associate producer of the Operalia Competition, a vocal contest held around the world, which was started in 1993 by his grandfather, Plácido Domingo. He assumes his position on Sept. 10.